The new GDPR regulations have broad-reaching impact on organizations globally, and bring massive change to the protection and definitions of data privacy as they relate to customer data. 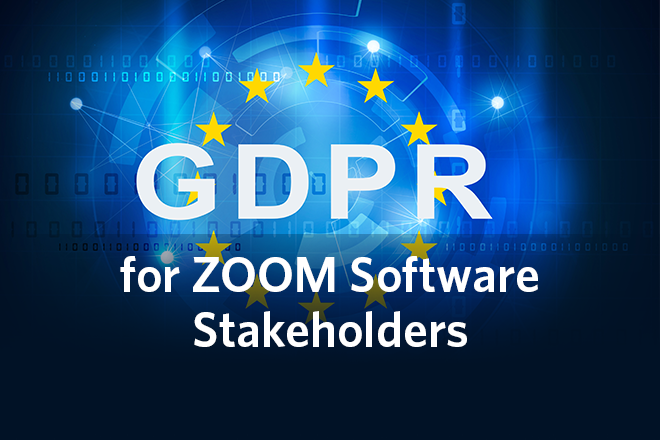 How ZOOM 6.3 Helps: GDPR has been compared to Y2K in terms of the breadth of impact. 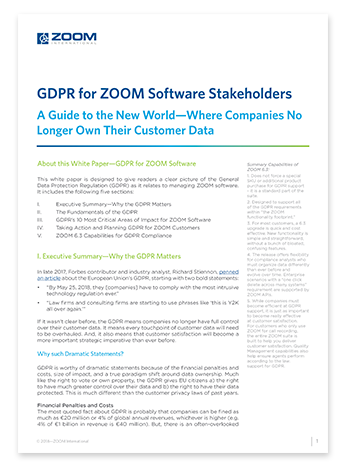 ZOOM 6.3 makes it simpler, faster, and more cost effective to achieve compliance. Please fill out the form to receive your copy of the guide.